How to reduce or eliminate the number of joints in a concrete slab. This topping has no joints and no cracks thanks to a high dose of structural synthetic fibers. Forta Corp. Although for most applications contraction joints are essential, there are techniques that allow elimination or reduction of the number of joints. High doses of "structural" synthetic fibers (also called macro polymeric fibers or high-volume synthetic fibers) may allow reduction or elimination of joints. 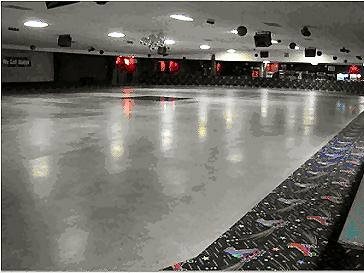 A 4-inch concrete topping with 7.5 pounds/cubic yard of Forta Ferro fibers was placed at the Sparkles Roller Rink in Marietta, Georgia with no joints and has experienced no cracks after 3 years in service. This Australian system induces fine cracks to form on 1-meter squares and eliminates joint cutting. Joint Free Slabs Ltd. Placing 0.5% reinforcing steel in the top 2 inches of the slab in both directions can allow you to eliminate joints. That is about a #4 bar at 10 inches on center. This doesn't really eliminate cracks, but results in very fine, more closely spaced cracks. A recently introduced product from Australia, the Joint Free Slab, induces narrow cracks on a 1-meter-square grid by positioning crack inducer tubes on the subbase before placing the concrete. Post-tensioning the slab in both directions can allow joints to be eliminated by placing the slab in continuous compression. Post-tensioned slabs can also function well with poor subgrades. Shrinkage compensating concrete (Type K), with an experienced contractor and designer, can allow a reduction or elimination of joints. 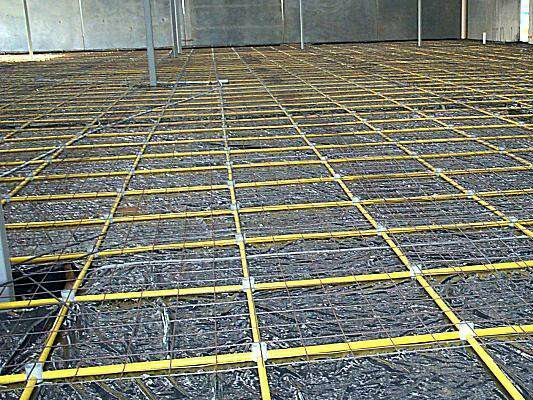 Reinforcement (rebar or steel fibers) is placed and the concrete actually expands as it cures, resulting in tensioning of the steel. Eventually, the concrete shrinks back and behaves similar to a post-tensioned slab. Shrinkage compensating concrete has, however, resulted in some problems when improperly used. It requires knowledge of how much expansive cement to use and other factors. One company that has seen a lot of success with this is CTS Cement.